Fresh Sandwiches, Salads, Bagels, Smoothies, and More! A full breakfast and lunch cafe offering coffee drinks, sandwiches, salads, & smoothies. 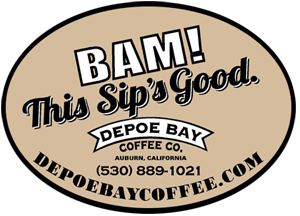 Fine coffees from around the world, fresh roasted here at Depoe Bay & shipped to you. Established in 2000, we remain a family owned and operated Auburn CA. business.